I’ve never found it necessary to respond to an opinion editorial, until now. “Privatize the Sewerage & Water Board? Hell no: Abolish it” written by Jacques Morial was so riddled with political gamesmanship and devoid of facts that I felt it necessary to provide a formal response. Senate Bill 47 of the 2013 Legislative Session, which I co-authored with state Reps. Walter Leger and Jared Brossett, now the City Council’s District D representative, enjoyed the unanimous support of Mayor Mitch Landrieu, the Council and Orleans Parish legislators. Both the aims of the legislation, removing and limiting mayoral control over appointments and replacing the board with drainage professionals and citizen representatives, was presented to begin the process of fixing our horrendous Sewerage and Water Board. Morial suggested that somehow legislation in 2013 led to the Aug. 5 failure. He would have you believe that something that didn’t need to be fixed was broken by one bill passed, with universal consensus, four years ago. All New Orleanians have been at the mercy of this broken agency fighting a losing battle against our ancient and antiquated water system for decades. As a child I remember the wonder of being able ride my bike down a street newly paved by the city Department of Public Works, only to have the Sewerage and Water Board show up the next day to destroy it to make “repairs.” Or, in the alternative, a newly repaired water main obliterated when Public Works showed up to fix a pothole. Drive down any street in this city and you will see the multi-colored cement scars of how often this has taken place. Senate Bill 47 was only the first step to attempt to bring change to this calcified and hobbled agency. After the bill’s passage, a charter change was required. The City Council voted unanimously to remove themselves from the Sewerage and Water Board via charter change. Then the measure passed via referendum with the citizens of New Orleans voting in overwhelming support. As I read Morial’s opinion, I was stunned by the mountain of facts the piece omitted and the obvious political agenda behind it. Once again, facts were inconvenient to Morial’s narrative, so he chose to ignore them. First, while Morial freely attacks me and Rep. Leger for our authorship of this measure, he ignores Brossett, the third author. Brossett also managed the measure, accepting or rejecting amendments and controlling the debate on the floor of the House of Representatives, where it initially passed 94-4. Obviously his support of the measure wasn’t passive co-authorship. The entire delegation supported the final product after months of compromise and amendment. The final version of the bill, after conference committee, passed both the House and Senate unanimously. It appears as though Morial gave Brossett a pass because they are part of the same political organization (LIFE), and it simply would not do for one of Morial’s political allies to be in the blast radius of his ranting. Morial then begins another bizarre tirade on how the Council didn’t know anything and, without representation on the Sewerage and Water Board, they were helpless. He again shows a disregard for the truth. The City Council has a standing committee, the Public Works, Sanitation and Environment Committee, with direct oversight over the New Orleans Sewerage and Water Board. He fails to mention this fact because it conflicts with his narrative on directing blame. At the end of the column, he cites another bill I filed last year, Senate Bill 247, as support for his ongoing conspiracy theory. He contends I authored a bill to hurt Sewerage and Water Board employees and that my Louisiana Senate colleagues “declined” to hear it. Beyond the simple fact that the Senate cannot “decline” to hear a bill, he ignores the much more simple truth: Senate Bill 247 died because I killed it. After meeting with employees at the Sewerage and Water Board who expressed concerns that there would be no pension protection or pay equity with new hires, I committed to them that I would not move the bill unless their issues were resolved. When I couldn’t get a commitment to address their concerns, I killed the bill. Once again, facts were inconvenient to Morial’s narrative, so he chose to ignore them. Morial is a political opportunist with an agenda, but he isn’t completely wrong. We are all now on notice of the consequences of not acting quickly to fix an aging, broken Sewerage and Water Board. Rather than trying to assign blame to our opponents, we all need to accept responsibility for what we have done and what we will do. Everyone gets a seat at the table for what happens next. Whether you’re a politician, a candidate, activist or citizen, we all live here. The continued failure of the agency isn’t an option, and all ideas and solutions must be considered. Certainly, giving Council members the opportunity to rejoin the Sewerage and Water Board should be evaluated, and I’ve started that process. All ideas and solutions must be considered for the problems that plague the New Orleans Sewerage and Water Board. I welcome Morial’s constructive input to this conversation because to keep our city safe it will take all of our combined efforts working together. All I ask is that he come to the table with no hidden political agenda and with a true appreciation of the facts. 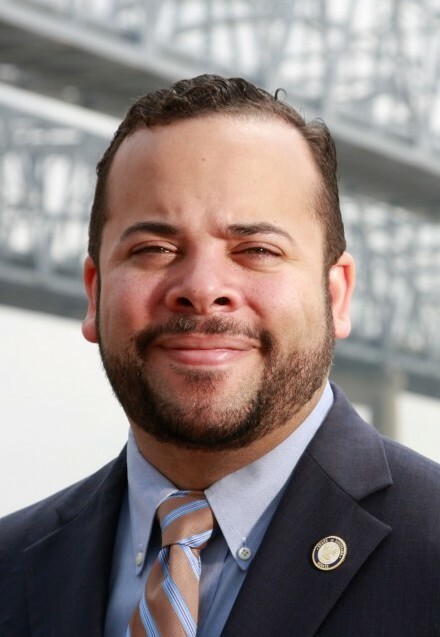 A Democrat and New Orleans native, J.P. Morrell represents District 3 in the Louisiana Senate.